In 1889, the mansion on Angliiskaya Naberezhnaya was obtained by Grand Duke Paul Alexandrovich, the youngest son of Tsar Alexander II. After that, the building changed many hands over time. When the revolution ended, the mansion was sold to the Russian Society for the Production of Equipment and Military Supplies. These days, the building is at the disposal of Saint Petersburg University. The story of this luxurious mansion, located in the very center of Saint Petersburg is not a simple one. Restoration work on the building has currently stopped, leaving it in a semi-ruined state. 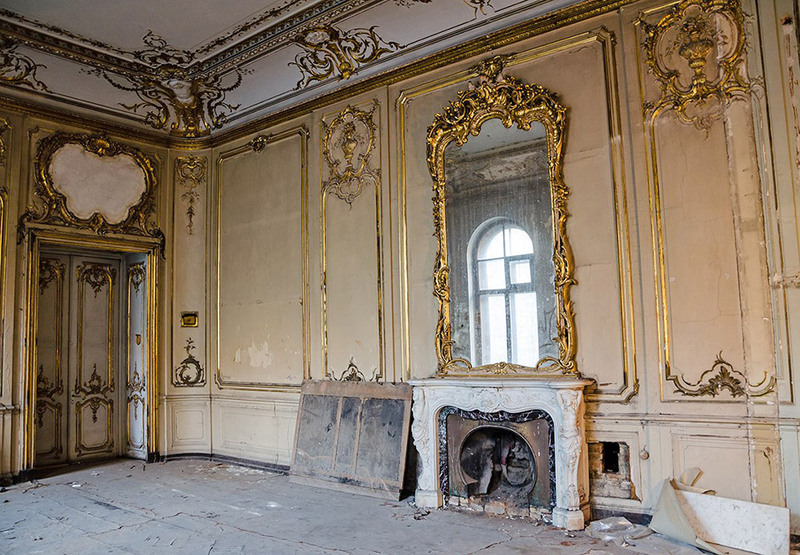 The bas reliefs, sculptures, and what remains of the grand interiors and luxurious staircases are all covered in dust.